Please be sure you are at the Login Window before you proceed. Click the Request A Password Reset link under the login window if you do not remember your password. Follow the Password Reset Procedure to obtain a new password via email. Once you have your new password - Login. Once logged in, you are immediately taken to the Ventrilo Lobby Area. 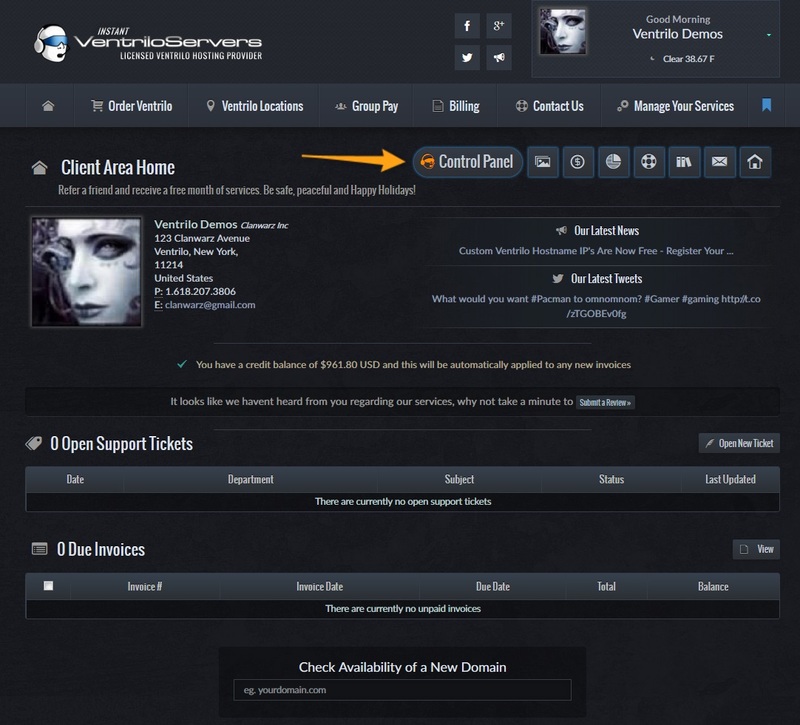 From here you can open support tickets, pay invoices and also connect to the control panel of the service you wish you modify. Once you click the Control Panel button next to the service you wish to modify, you are instantly connected to your ventrilo service to admin with ease. Ventrilo Servers also offers TCAdmin II Control Panel where access to the File Manager and many other scripted functions are available at your fingertips. This panel is awesome for saving files in certain Language such as Crylic. Have an idea for our control panel? Let us know as we are constantly upgrading our systems with new features each day.